Chuck Rosenthal was born in Erie, Pennsylvania, and he moved to northern California in 1978 and has lived in Los Angeles since 1986. In 1994, at the age of 43, he began riding horses, and he purchased his first horse, Jackie O, an Arabian Thoroughbred bay mare in 1995. She died on January 17, 2009, at the age of 22. 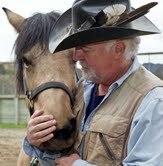 His new horse, La Femme Nikita, is a buckskin Morgan, age 7. He tries to ride six days a week. Rosenthal learned to surf upon arriving in LA, and he crossed Canada and the U.S. on a 400 Suzuki in 1982 but stopped motorcycling last year. Besides horseback riding, he enjoys running with his dog and swimming. Rosenthal lives in Topanga Canyon with his partner, the poet Gail Wronsky. Their daughter, Marlena Dali, moved to Sydney, Australia in 2010 to pursue her career in performance art. Rosenthal teaches narrative writing and theory at Loyola Marymount University. He is the manager of the Glass Table Artists‘ Collective and Managing Editor of What Books Press. 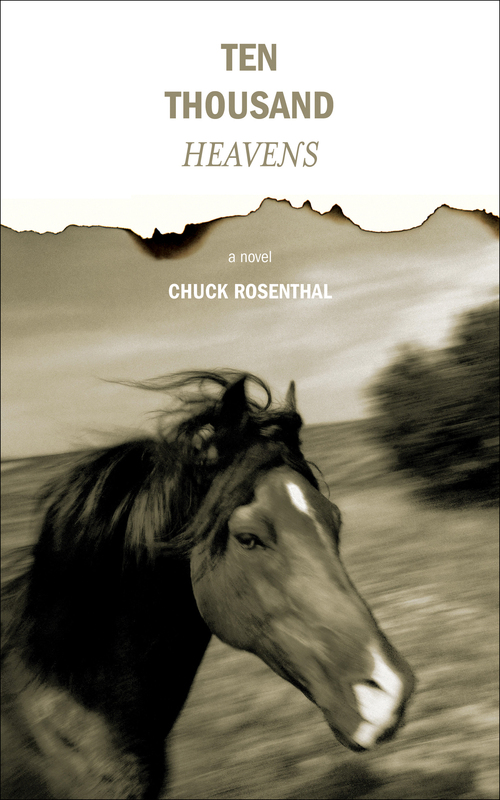 Rosenthal is the author of nine novels: the Loop Trilogy: Loop’s Progress, Experiments with Life and Deaf, and Loop’s End; Elena of the Stars; Avatar Angel, the Last Novel of Jack Kerouac; My Mistress Humanity; The Heart of Mars; Coyote O’Donohughe’s History of Texas; and, most recently, Ten Thousand Heavens. He has also published a memoir, Never Let Me Go; a travel book, Are We Not There Yet? Travels in Nepal, North India, and Bhutan (Magic Journalism); and West of Eden: A Life in 21st Century Los Angeles (Magic Journalism) published in 2012 by What Books Press.